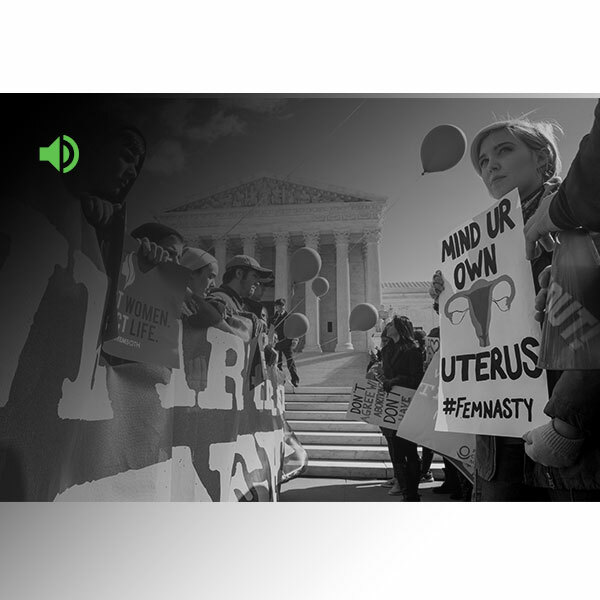 This page outlines Gallup's long-term trends on Americans' views about abortion by gender. 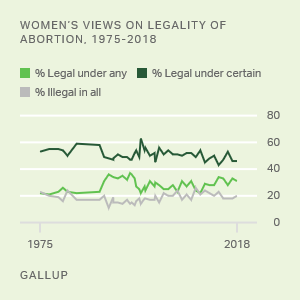 This page provides Gallup's long-term trends on Americans' views about abortion by age, including their views on legality and their preferred label. Americans' 2018 preferences for the legality of abortion are provided here in tabular form, with breakouts by key population subgroups. 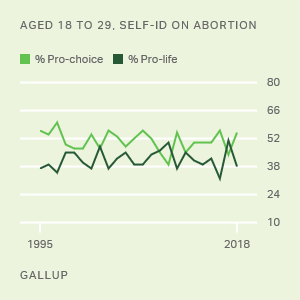 Americans' identification in 2018 as "pro-choice" or "pro-life" on abortion is provided here in tabular form, with breakouts by key population subgroups. 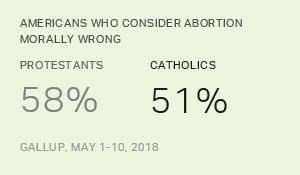 Americans' 2018 views on the morality of abortion are provided here in tabular form, with breakouts by key population subgroups. 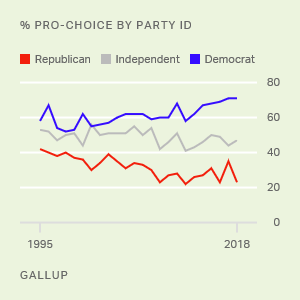 This page provides Gallup's long-term trends on Americans' views about abortion by party identification, including views on the legality of abortion and self-identification as pro-choice or pro-life. A majority of Americans in 1962 backed a U.S. woman's decision to have an abortion in Sweden after she took a drug known to cause birth defects.